Many aspiring writers hear that writing is a hard job. And surely, writing a book is not a day-long assignment. It takes weeks, months, or even years. On the other hand, many people say they want to write a book but don’t have time for it. I started writing my very first book in June 2013. I wrote a few chapters, then shared them with a friend and my niece. They loved what they read. But then I stopped writing the story. Reasons for it were plenty and all the known ones. Full-time job, a family with a small child, voluntary work, the story being too sad, and too slow, not good enough, etc. etc. Joining a writing course with the best-selling author Menna van Praag helped to boost my writing energy again. Every month for about a year I have sent her three pages of my writing and then got both a written feedback and from her directly, during a one-hour telephone seminar together with her other students. After a few months of this course, and especially between the phone calls my writing energy ebbed again. Together with my fellow students, I complained to Menna that I couldn’t find time to write my book or to write in general. Menna suggested playing a game. She proposed that each of us writes for 5 minutes a day for a month and share our experiences in the Facebook group created by one of the students. It was a fantastic experience. We cheered each other through the process, and my writing just flew. Yes, sometimes 5 minutes or less, but it progressed. In the subsequent months, I have forgotten about the game, but I continued writing. In 2015, I had two small children, and I managed to finish my first book, to revise it, to have it professionally edited, and published it. Doing all that in small steps between taking care of an infant, keeping a household, blogging and taking care of my family. At the end of that year, I published another book. Shortly before that, I joined a writers’ club in Aalborg, Denmark, where I live. At that time, I was already working on several writing projects in parallel, continuing the voluntary work in a technical community, and started a business. My fellow writers in the writers’ club asked me how I managed to pursue so many projects in parallel, along with taking care of a family with two small children. As I was contemplating how to summarize and how to explain what I did, I recalled the game introduced to me by Menna. I suggested to my friends to play it. I organized a Facebook Group called “Procrastination Breakers Club” where we would play that game with rounds going for one month. The rules of the game were straightforward. We had to introduce the project we wanted to take into the game (it didn’t have to be writing; learning a language or rebuilding a house, or anything else that we wanted to do but didn’t see to find time to, would do as well). Then we had to pursue the project for at least 5 minutes a day. If we did it, we earned a point. If we didn’t, then we lost the point to our procrastinating selves. And if we persevered for less than 5 minutes, we got half a point. By the end of the month, we scored the points, and as writers, we also counted the words we had written during that month. And that first round of the game that I moderated was one of the most significant revelations in my life as a writer. In that month I have written more than six thousands words, by writing for five minutes a day, sometimes more (but never longer than twenty minutes) and sometimes less. Six thousand! If I continued to write the book at the same pace, I would have a full manuscript within a year. By writing just for about 5 minutes a day! That was one of the most beautiful discoveries for me as a writer. I was delighted when she shared this experience with me and invited her to play the 5 Minute Perseverance Game. She accepted the invitation. She commented on the page of our group that the game was helping her, and she expressed her surprise with much color and enthusiasm. Sometime later, she posted a message with multiple exclamation marks and a few strong words announcing that she finished the manuscript and sent it to the publisher. Seeing such an effect of the game and especially the fun of it, I have dedicated a little book to it which I named “5 Minute Perseverance Game: Play Daily for a Month and Become the Ultimate Procrastination Breaker” and structured as if it was a description of a board game. Gamification? Of course, I started researching about it. Apparently, this is a method of bringing games and game-design approach into other areas of our lives, like work for example. A little later, I have heard of kaizen, philosophy, and technique of pursuing and achieving big goals by making small steps and solving small problems. Or in other words by breaking down substantial challenges into smaller ones, with which our brains don’t have obstacles to overcome. So, this is what I was doing with my 5 Minute Perseverance Game: I gamified my life, and I applied kaizen. In other words, I made progress in my projects by making tiny steps and by gathering points. I designed my game anew at the beginning of every month varying the number of points, adding a bonus system and taking various projects and activities into the game. And then I discovered something else: this project game design I was doing once a month and enjoying so much, it was nothing else than time and project management, and…it was fun! I always thought that I hated time management, jotting down to-do lists, making priority lists, and recording progress. Now I measure progress in points and am eager to gather more. If the steps are too big and overwhelming, I make them small and start smiling broadly, when I record a score for each of them. My life became a fun game, including the writing part of it. 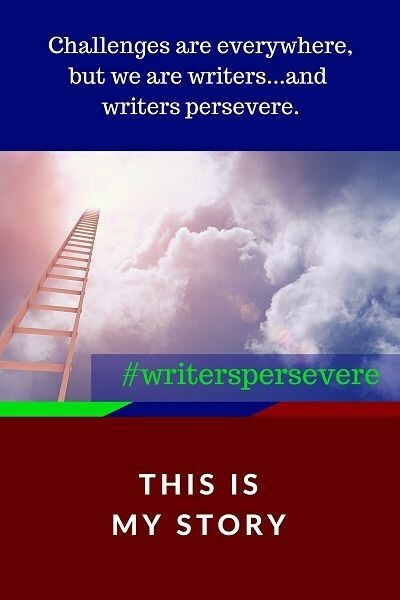 As part of the book launch celebration, Angela and Becca invited writers to encourage each other to persevere and share their stories of strength and perseverance under the hashtag #WritersPersevere. This event includes some amazing giveaways! Check out more here. You can only enter until tomorrow, October 27th, so hurry up if you would like to join. Contributing to Mekon’s Bitesize on Business Rules – 12: brDoc Schema: What is a Business Rules Paragraph (brPara)? One of the main purposes of the most of the S1000D Schemas is to standardize already available practices in the production processes of technical publications, and with that allow information’s reuse, interchangeability, and interoperability. The business rules document (brDoc) Schema in S1000D Issue 4.2 is not an exception. Many elements and attributes of this and other S1000D Schemas (for the latter starting with the Issue 4.0) have self-explanatory names. Take for example the elements dmCode, dmTitle, or attribute names securityClassification, brDecisionPointUniqueIdent and other. However, some of the names of some of the core components of the S1000D Schemas need explanation. That is also true for the major component of the brDoc Schema, the business rules paragraph (brPara). In this month’s contribution to the Mekon’s BR Bitesize series, I have explained what a business rules paragraph is, and why the S10000D Business Rules Working Group (BRWG) has developed such a structure. Writing and especially writing books is a long-term process. There are many great books on writing craft advising how to become a better writer, as well as those exposing the lousy writing examples. A friend, who was first a stranger and who found me online, became not only one of my dearest friends but also became someone else for me. She didn’t edit or criticize my writing pieces (either blog posts or book manuscripts I sent her) and didn’t say how to improve them. She did something else. She pointed out what she liked most. But most of all she told what feelings my writing generated inside her, along with the memories of her childhood and youth. She related how my written pieces resonated with her. When I tried to identify who she was to me and my writing, I realized that she was neither an editor nor strictly a beta-reader. She was my cheerleader! As I experienced her support, I realized that she was not the only cheerleader in my life. Her presence and support made me aware of many beautiful and supporting people in my life, including my writing life. I wanted to pay the gift of cheerleading for writers further. And with some contemplation of how to do that, I decided to create a resource for writers and to share the discoveries I made along the way. In November 2015 I started a blog category “Cheerleading for Writers” and wrote 26+ articles on various topics of writing, creativity, and life. I am curious to see how the stories related in the book will resonate with my fellow writers. I hope it will help them and you, if you are a writer, to relax and enjoy the processes of writing, publishing, and promoting your creations. At the same time I will continue passing the gift of cheerleading in another way: by reading the writing pieces of my fellow writers and offering them honest feedback and motivation to find gems in their writing, as well as to continue creating more of such jewelry. And I am sure interacting with them and sharing my writing with them will strengthen and improve my writing craft. All that will also make sure that we all continue having fun on the paths we have chosen. If you would like to find out more about “Cheerleading for Writers” then click here. The new Business Rules Document (brDoc) Schema, introduced in the S1000D Issue 4.2, possesses excellent potential, and I believe it will help reduce the duration and costs of the business rules production and maintenance as well as increase their quality. I have given answers to these questions from my point of view in the latest article for the Mekon’s Bitesize series on business rules. Today I will report on the results and lessons learned in the September 2017 round of the 5 Minute Perseverance Game. Instead of dividing the day into slots reserved for each project as I did in August, having twenty-one projects/activities in total, for September, I’ve split the game plan for a day into eight project areas. Voluntary work in a technical (S1000D) community, where I serve as a chair of a global working group. Content development to offer for sale on my website. Book and content marketing, as well as publishing books and update of already published books, when necessary. Training, coaching and consulting services/projects (including pitching, carrying out, and marketing them). Family, personal, and business administrative matters (incl. accompanying my family members to doctors, organizing meetings with colleagues and friends, personal (including that for my mother) and business bookkeeping and similar). This very new for me design turned out to be much fun. It was also due to the flexibility I included. There was no more maximum amount of points I could strive to achieve, but I could set records by managing more projects in the same project area. I have also introduced a bonus system. I gave myself two points for each set of 8 points, meaning making one step in a project in each project/activity area. And I gave myself five points for each completed task which included preparation time and delivery to someone externally: sending a draft of an offer to a project partner, sending a manuscript to an editor, answering a customer’s questions in an extensive consulting e-mail, or similar. At the beginning of the September round, as I was getting used to the new game design, I thought I saw a draw-back of dividing my day into project areas (or groups). When I managed one point in a particular area, I didn’t necessarily urge to do the other projects in the same project group, as for example to work on both of my fiction books on the same day, which I thought I wanted. But to be honest, having multiple projects all written in a flat list as in August (twenty-one bullets) didn’t help to manage more of them either. There was something else, which became prominent in this round. It also happened before, but I had the feeling that it was stronger this time. Here is what that was. I didn’t always manage to remember to record the points earned, and at the beginning, I thought that it was frustrating. But then I recalled that in video games you didn’t manage to gather all the treasures available out there either. Some of them need to be left behind if I want to move forward and keep going. I loved this realization because it confirmed how often I experience the projects I want to pursue as pleasant and fun games. So the points which I forgot to record where the treasures I didn’t manage to retrieve along the way. But while forgetting those, I gathered the others. And I got the best rewards of all, a smile on my face, warm feeling of achieving and completing something, and happiness of having a perspective of moving forward. The new design of eight areas worked so well that I want to try it again next month. The bonus system was excellent too. Having to do for example just one thing in book marketing, or one thing for area eight which I call “Free time, fun, health, and movement” to get the point, took the pressure away and with that resistance to try to make progress in each project. I still could get more than one point per area, but the pressure lessened when I saw that most of the eight boxes in the game for the day had at least one check mark in them. The most spectacular result for me during this round was in the sports/health area. In the last month, I procrastinated doing something in this “project” and earned only a few points during the whole month. In September, I haven’t been doing sports every day, but I did it every week and most importantly I re-discovered fun in it. For a long time, I used to think that I didn’t like jogging. In my opinion, you couldn’t enjoy surroundings while jogging. This September I discovered that to be untrue. Plus, the springy and merry pace of jogging showed it’s happy face to me. That might have also been because the first time I went jogging this September, I did it together with my children, Niklas (almost 7) and Emma (a bit over 2,5 years old). We ran only a little circle down our street, then to neighboring one, behind our house, and then back, and that with a few walking breaks for Emma and me to catch a breath. But we returned with rosy cheeks and happy. Niklas was skeptical and reluctant before our jogging tour, but after it, he also said we should do it again the following week. The next weekend came. On Saturday I went for a run alone, and on Sunday we went again together. The weekend after, we repeated the pattern: me jogging alone on Saturday, and together on Sunday. And the past weekend my children excused themselves from jogging because they went swimming with their dad instead. It struck me that just after a few times joking together at the end of a week, all three of us embraced our jogging tours as a beautiful and fun tradition. That was quite an immensely pleasant surprise to me. The same happened with getting-enough-sleep “project.” In August, I had that pressure to sleep close to 7 hours every night, and I only managed that on 6 or 31 nights. In September, I didn’t have that pressure. One check mark in the box for the project area “Free time, Fun, Health, and Movement” already made me feel good that I did something for my well-being. Whatever that was: either playing with my children, getting enough sleep; doing sports, reading a book, watching a film or a TV-show, or anything else. What I also realized is that the new design allowed space for ambitions, but included kindness to myself, gave room for flexibility, and plenty of room for fun to collect points. I thought of bonus points before, but September was the first time when I dared to implement them into the game. And instead of feeling as if I cheated and gathered the points for nothing as I feared before trying this approach out, I was motivated to do more and more with a growing sense of pleasure. I made in total in September 703 points. In August I made 262 points out of 651 possible. Now there were no maximum points to strive for in September, and I have passed the maximum of the last month, but that of course due to bonuses. But even without bonus points, I reached 457 points. Much more than those gathered in August. Free time, fun, health, and movement: 111 points. 8 times managed to gather a point in each of the eight project areas = 16 points. I don’t know if this design would work for everyone, but it definitely worked for me this month. And since it was so much fun, I will continue with the same design of the 5 Minute Perseverance Game for October as well. The only change I am going to make is to increase bonus points for managing to make progress on the whole set of eight projects (one in each project area). That would guarantee variety in my day and ambitions to be active in all eight project areas because each of them is fun and worthy.